Samsung has been really active over the course of its last two iterations of Galaxy line flagships, that is, Galaxy S3 and Galaxy S4, both of which have been acclaimed as the most human-friendly smartphones ever. Features like Smart Stay and Smart Dial make you feel that your device actually understands you, and reads your mind, even if the reality is just a matter of some cleverly placed sensors and making use of existing tech. 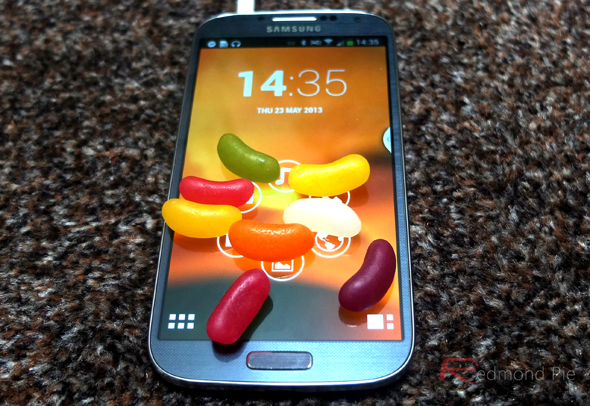 One of the features debuted in Samsung Galaxy S4 was the Air Call Accept, where you don’t even have to touch your device to answer an incoming call; rather, all you need to do is swipe your hand over the infrared sensor that’s next to the earpiece speaker, and the phone will read your gesture. Well, one of the developers for Android decided that such a feature should not remain restricted to one particular device, and hence, you have Air Call-Accept – a free app available in the Play Store that lets you wave over your phone to answer an incoming call, just like Galaxy S4, on any Android smartphone. 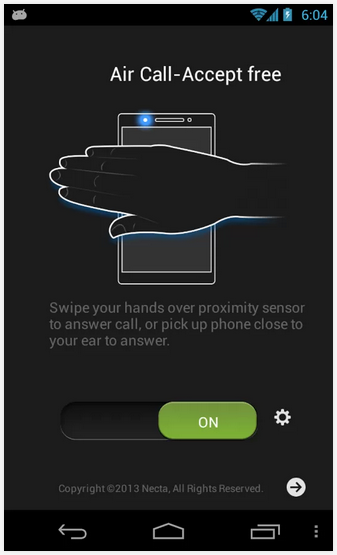 Since most Android phones do not carry that specialized infrared sensor, Air Call-Accept relies on the proximity sensor that has pretty much become the norm for all modern devices. This also means that unless your Android phone sports a proximity sensor, you won’t be able to use this app. Beyond that, there’s hardly anything more to it – all you have to do is install the app from Google Play Store, run it and switch the functionality on – at least, that’s the extent to which you can go in the free version. 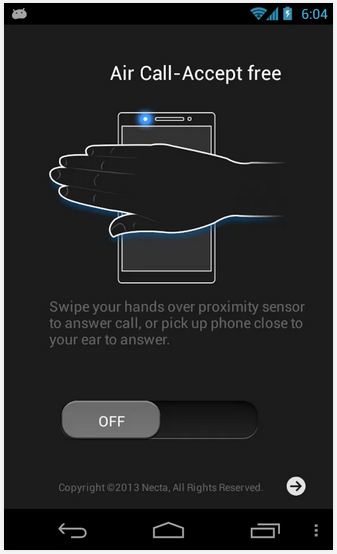 After that, any call that you receive, just wave your hand over the proximity sensor area and your phone should pick up the gesture. Air Call-Accept comes in a paid variant as well that additionally lets you reject calls, turn the speaker on when you answer a call or send an automated SMS when you reject a call using the gesture. Should you not want these additional capabilities and feel fine with just the basic S4 feature being mimicked, the free variant would suffice. Air Call-Accept is available from Play Store for all Android devices with a proximity sensor and that have Android version 1.6 and above (talk about legacy support! ).